Exclusive Vindicator SKINs Available With Omega & Multiple Pilot Training! We are happy to announce that we now have two exclusive Vindicator SKINs available, bundled with purchases from the New Eden Store. The first, shown above, is the "Sarpati's Revenge - Igil" SKIN, which is bundled for free with 30 days of Omega time (500 PLEX). The second, shown below, is the "Sarpati's Revenge - Virge" SKIN, which is bundled with 30 days of Multiple Pilot Training (485 PLEX). 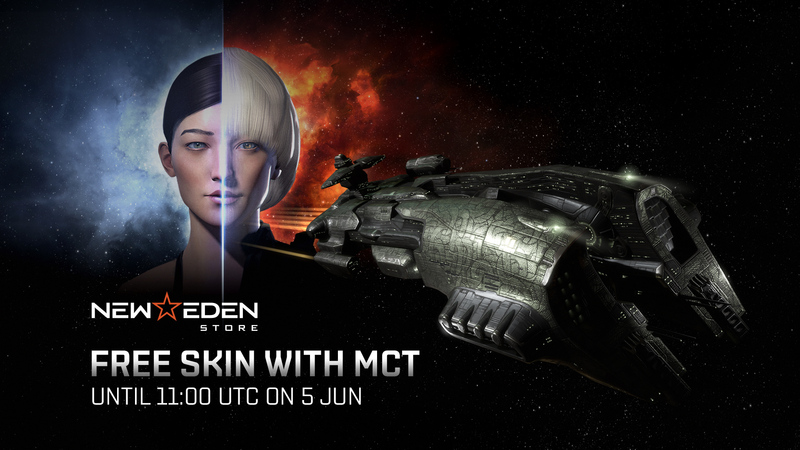 Both these offers will be available in the New Eden Store through until 11:00 UTC on June 5th, so be sure to grab them if you'd like to top up your Omega subscription or enable Multiple Pilot Training, and add these SKINs to your collection!